Through this model, Commerce Monks deploys a dedicated team of E-Commerce experts for your business. This team exclusively supports your project for various E-Commerce services. Having a dedicated team helps you plan & execute your tasks with utmost focus and priority. Your dedicated team gradually builds a strong understanding of your business, market, competition & consumer behavior which helps to get better results for your project. Why to choose our Dedicated E-Commerce Team Model? technical needs for an E-Commerce business. The sample profiles are available below. Experience : 5 to 7 years in online marketing & E-Commerce. Once you go through our package offerings, we are happy to arrange a call voice/video/chat to discuss your needs in detail and help you select the right package based on your industry domain, market, customer base & business plan. The process flows as below. Talk to one of our E-Commerce Consultant/Manager about your needs. After a fruitful brainstorming session over voice/video/chat call, our E-Commerce Consultant will analyze your needs and gather insights about the market & competition. Based on your needs, we will suggest you the right mix of team for your business. We may include partial (half) involvement of few of the members to make sure that you receive the right mix of talent for your needs. We assign you a dedicated team for your project within 15 days of the team finalization. You will receive direct access to them in case you wish to manage your team by yourself. Otherway, we can provide a single point of E-Commerce Manager who will be your primary point of contact within the team. We do not charge any extra fees for the team management. Your team provides you with a daily task report (with man-hours and work accomplishment) through our PMS. Every quarter we evaluate the team/project performance and revamp the strategies if required. 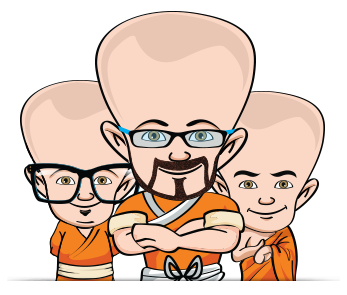 Leverage Monks education, experience, knowledge & expertise by hiring professional skills to grow your E-Commerce business.